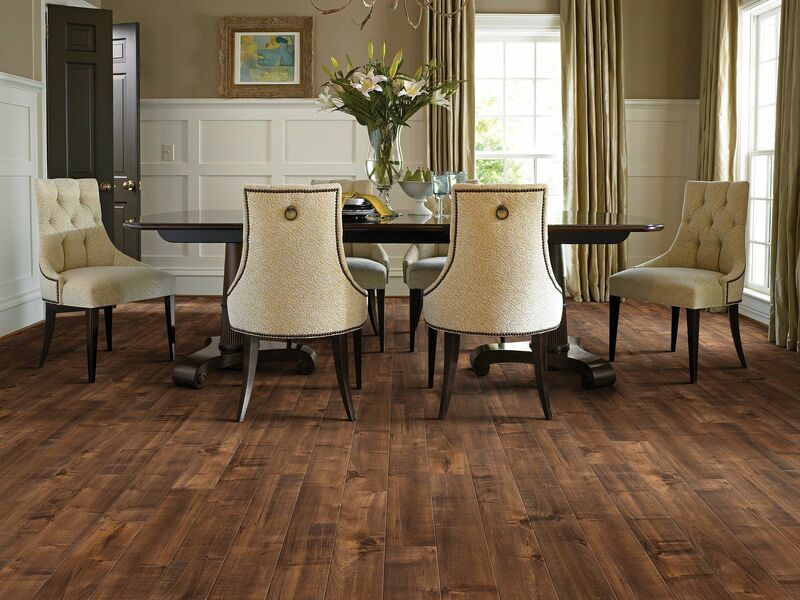 You may already know that Laminate flooring is durable, cost-effective, and low-maintenance. But did you also know that it comes in a nearly endless variety of styles and colors? Our Laminate collections contain hundreds of hardwood and tile designs in varying shades and textures, so your floor is unique, just like you. If a hardwood visual is what you’re looking for, check out one of our beautiful wood-inspired products like Timberline. Created with a rustic look in mind, Timberline’s hand-scraped texture and beveled edges give it the natural appearance of hickory and a realistic feel under your feet. Timberline is available in five gorgeous shades, each of which promise to enhance the beauty and richness of your home. As far as hardwood aesthetics go, there’s also Ancestry, Boulevard and Manorbourne, just to name a few. At shawfloors.com, you’ll find everything from upscale designs inspired by white oak and European oil-rubbed floors to eye-catching products for casual or urban settings. Shaw's Color of The Year 2015 "Lady in Grey"
Confused by the choices? We're here to explain the differences.